Silicone scraper is one of the indispensable tools for chefs, cake shops and housewives to make delicious food. In addition, your trademark can also be printed on it. It is flexible, durable, reusable, non-sticky and non-toxic. It's easy to use and clean. It is suitable for shoveling, mixing, tasting, folding and oven top cooking. The size is 813/32 "L x 111/16" W. Price includes 1 color, 1 side and 1 position screen printing. The multifunctional silicone scraper is made of pure silicone. 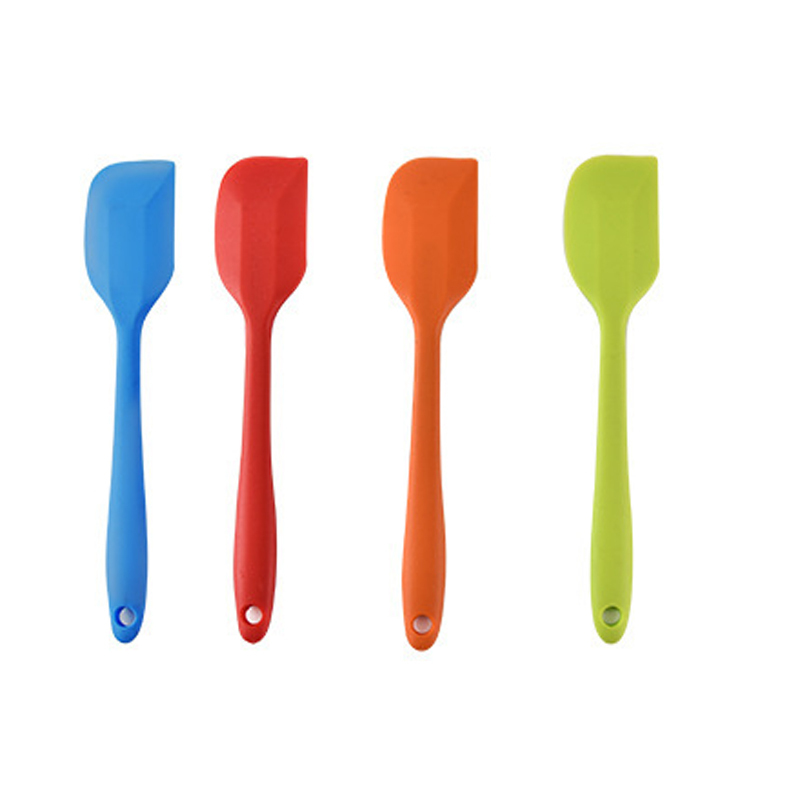 The spatula is flexible and hygienic, which is very suitable for family and professional use. Provides a convenient hole for creative storage solutions. Welcome to send inquiries! Package: 1 pc/opp bag, 500 pcs/ctn, 49 lbs/ctn.